AKIPRESS.COM - Asel Murzakulova opens a new page of the Mongu discussion club, which will be in the format of a series of interviews, telling about current studies, which critically fix the dynamics and changes taking place in modern society, politics and people. Asel Murzakulova: Good afternoon, dear readers. After a break, we continue a new series of interviews within the "Mongu" discussion club. Today, our guest is a rare specialist for Kyrgyzstan, an expert in the field of biodiversity conservation and creating protected areas, Associate Director of the Mountain Societies Research Institute of the University of Central Asia Marc Foggin. Dr. Foggin has over 20 years of work experience in Tibet and other parts of China, where he has dealt with environmental security issues. Dr. Foggin, welcome to the "Mongu" club! The idea to interview you came to my mind when your work was presented to an expert group involved in research and in protecting the enormous Tibetan plateau region. We also have heard recently, in the national media in China, about a possible mega-project to create the “Third Pole National Park” – which could cover almost the entire Tibetan plateau, around 2.5 million square kilometers! This is certainly a huge contribution to the conservation of mountain ecosystems by China. In Central Asian countries, the negative discourse on environmental problems in this neighboring country is more common, and there is very little information about how the government's attitude to issues of environmental security may be changing. Please tell us how the idea of ​​creating such a mega-project was developed, and how it became possible. Marc Foggin: For many years China has been at the forefront of environmental conservation thinking. It was one of the first countries to sign the UN Conventional on Biological Diversity. It has made massive advances in the production of renewable energies, including wind and solar power. And China has long recognized, at least in theory, the value of biodiversity and ecosystem services. Of course, there are still gaps in the translation of legislation and national programmes into effective action on the ground and also in terms of sufficient qualified staff to implement projects and programmes. There is equally the basic problem that environmental concerns have not yet been fully internalized by society at large, especially by large companies (and their bosses) operating in a market-oriented system with limited ethical foundations. Nonetheless, the economics of environmental conservation are recognized at national level, including the critical value of water. And in this respect, the vast Tibetan plateau region – also known as “Asia’s water tower” as well as “the Third Pole” – is highly valued. Some of the region’s unique, endangered wildlife also is appreciated at all levels. Altogether, this has led to the creation of some of the world’s most impressive nature reserves, including Changtang, Kekexili and Sanjiangyuan protected areas. Now, China is further advancing the development of an already-impressive network of protected areas, including their geographic scope as well as the approaches used in their management. It is noteworthy that several forms of protection and resource management exist, including nature reserves at a variety of administrative levels, national parks, as well as community level protection through traditional land management approaches. In fact, China’s first ‘national park’ is now being trialed in the heart of the Tibetan plateau. Unlike nature reserves that focus primarily on conservation, national parks have the dual objectives of conserving nature and strengthening the livelihoods and wellbeing of communities. 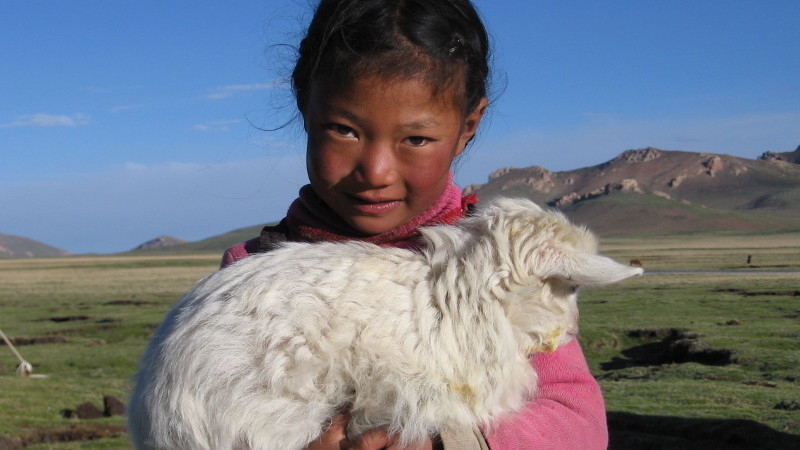 Within the vast Tibetan plateau region, the main approach currently being trialed to simultaneously advance these inter-related goals is known as “community co-management,” in which the government and communities collaborate toward these common purposes. The concept is still being developed and shaped, and not everyone understands it in exactly the same way, but the foundational ingredients are finally well in place. In regard to the new mega-project, as you have called it, some media outlets in China have mentioned the distinct possibility that the entire plateau could be included in a new, enormous national park – the Third Pole National Park. Now I don’t know if this will come to fruition, but it would not be the first time that such a major undertaking is proposed and implemented in China! Just how such a national park is designed, and how it plans to interact with local communities and with regional development, have yet to be seen. This is why I recently offered a presentation at the Third Pole Science Summit in Kunming, Yunnan Province (co-authored with Dr Gongbo Tashi), which outlined some of our own experiences – and lessons learned – based on many years of working together with Tibetan herding communities and conservation management authorities in Qinghai Province, focused on the Yangtze River headwaters. I think these lessons, especially regarding partnerships with local communities, should be reflected in the development of any new protected area, such as the Third Pole National Park now under consideration. Asel Murzakulova: You are also involved in another important and sensational project, in my opinion, a project that aims to strengthen a national park in Afghanistan – the Wakhan National Park – and in other adjoining areas in Tajikistan, Pakistan, and China. More than a thousand Kyrgyz people live in the Afghan territory. It is very exciting to learn that, despite difficult periods in the history of the development of this country, an initiative to establish a national park in the Wakhan region has been possible. Over the years since independence, only one national park was established in Kyrgyzstan – Sarkent, in Batken. One can buy a license to hunt wild animals in Kyrgyzstan. Recently, more than 1000 trees were cut down in order to expand the roads in Bishkek; this is the first stage in the plans of the municipality to cut down 7,000 trees. In your opinion, what conditions form the environment in which the government and society reconsider their attitudes to the protection of nature, and begin to take real steps? Marc Foggin: This will be different for each country and each society. But there are surely some key elements held in common. I think that, fundamentally, we must recognize that we are part of the larger social-ecological systems, we – and our actions – are not disconnected from nature. What we do affects nature, and the state of the environment affects us. We can look at this in economic terms. But economic perspectives are not all there is. Personally I feel we should look even deeper, and begin to recognize (or remember) that the real, ultimate value of the environment is its intrinsic value. Faith-based perspectives can have an extremely important role here, at the same time as we seek to manage the environment on basis of scientifically proven information and approaches. These two elements are not mutually exclusive. They both affect how we see or value the environment, and both affect society’s attitudes and the dialogues and choices that it makes for the management and conservation (or not) of these precious resources. Asel Murzakulova: Throughout your professional work, you have been linked with vulnerable groups of people who live in high-altitude and climatically harsh areas. As a rule, they are nomadic communities. What have you learned when working with such communities? Marc Foggin: People are people, and communities are not homogeneous! What I mean is this: there is great diversity within every community, some people are easier to work with, some people are more or less powerful, or wealthy, or educated, etc. So when I, as a newcomer, start to connect with a community – the first investment I need to bring is my time. I need to spend the time necessary to learn about the place, the people, the environment. It is extremely important to come as a learner, to not assume too many things, even as I bring what potentially could be an enriching set of experiences for new colleagues or partners. Then, when time is given, much can be gained – in both directions. What have I learned? I have learned too many things to enumerate here! These include practical matters of agriculture and pastoralism, of wildlife and ecology, of local histories and cultures and traditions. These past couple decades have been incredibly valuable to me. I have a deepened sense of the great value of relationships, rather than projects or contracts, and the value of trying to understand things from other peoples’ perspectives. Only then can we really begin to find common ground, and to work together for development and a more sustainable future. The diversity of cultures and communities, as much as the environment, is a rich global asset we must cherish. Asel Murzakulova: You are also involved in the agenda for the conservation of the snow leopard on the wide expanses of the mountain systems of the Hindu-Kush Himalayas, Tien Shan and Pamir. Next month, in August, the Global Snow Leopard Summit will take place in Bishkek. Do you think the efforts that are being made to preserve this Red Book species across the wide range of habitats in its 12 range countries are sufficient? Marc Foggin: I think there has been incredibly good commitment and effort by all the national governments involved and by numerous people to protect not only the snow leopard but, perhaps even more importantly, also the high mountain ecosystems upon which the snow leopard depends. These extraordinary landscapes provide so many ecological services – including provision of water, as well as habitats and vegetation for wildlife and for people – they are essential to our own future, too. So the commitment expressed in the coming together of so many government leaders and other stakeholders at the Snow Leopard Forum is very encouraging to me. Is this enough? No. This is only a beginning. Much has yet to be done. But this certainly is a very positive first step, and the various management plans being developed for the ‘snow leopard landscapes’ identified under this impressive initiative are comprehensive documents based on wide stakeholder consultations. So I am encouraged by this and am hopeful for the future. Asel Murzakulova: Thank you very much, Marc, for your interview and an incredible story. It gives hope that we all still have a chance to live in a better world where people will reconsider their attitude towards nature.